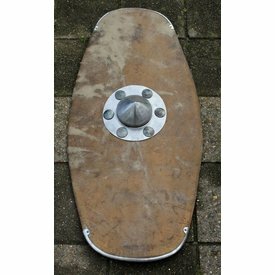 This shield boss is a replica of a Lombardic original from the Migration Period. 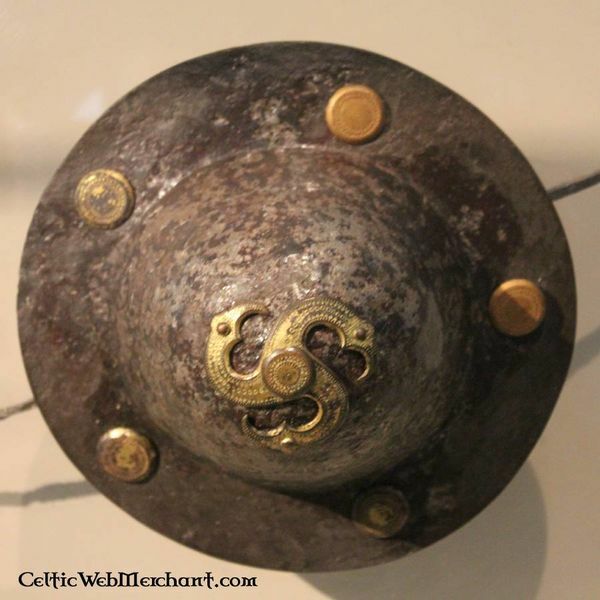 Shield bosses like this were used all over Europe between the 6th and 8th century. 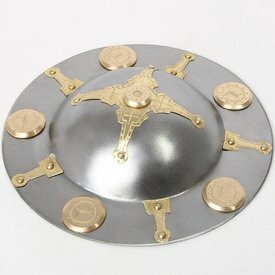 The original of this replica was excavated in Northern Italy and nowadays it is part of the collection of the National Museum in Neurnberg. 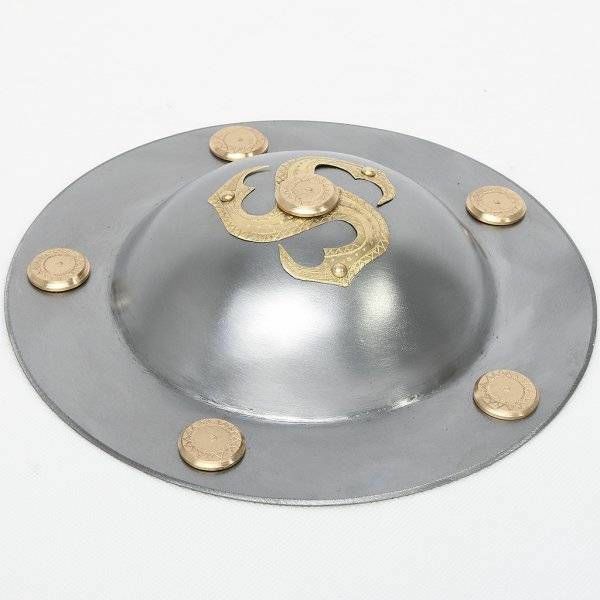 The shield boss is made of 1,5 mm tempered steel. 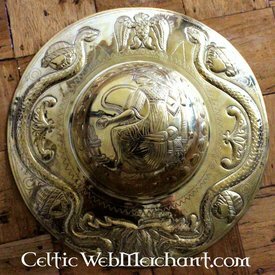 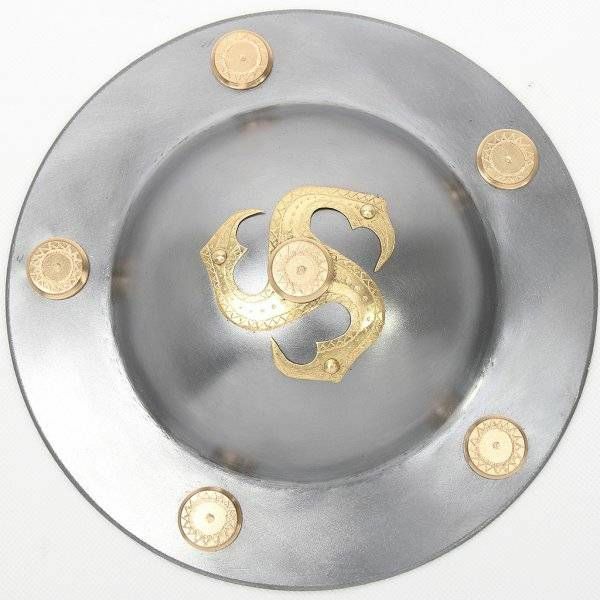 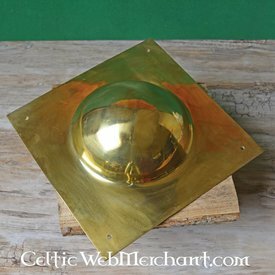 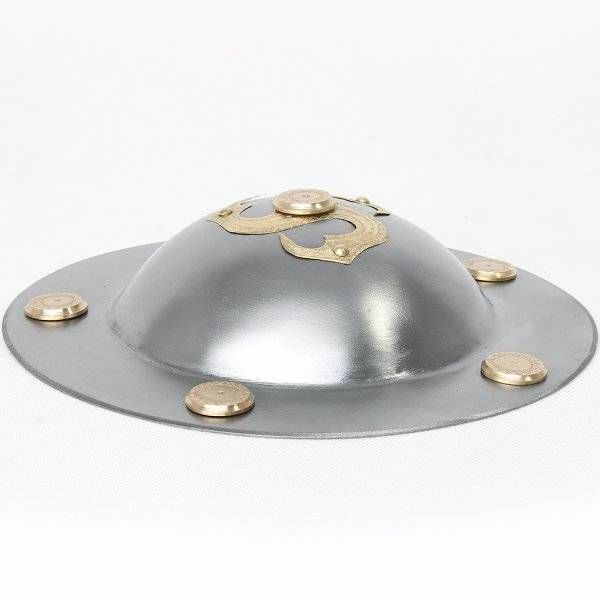 It has a diameter of 20 cm and is decorated with manually engraved brass motives.